PORT ST. LUCIE, Fla. - Zack Wheeler fit the profile, this much he always knew. The pain in his elbow, which he felt even in high school, only reinforced this belief. As a long, lanky flamethrower, the threat of Tommy John surgery loomed over him. He was bound to break. Yet, when the inevitable happened this week, Wheeler was moved to tears. "They told me in there on the phone," Wheeler said at his locker on Friday morning. "And I came out here and everybody was sort of just staring at me when I was rounding this corner. And I was like 'torn UCL.' They all just came up to me. I cried a little bit." In his first public comments since he was diagnosed with a torn ligament, Wheeler absolved the Mets of blame for his injury. Instead, he chalked up his balky elbow to the cumulative effects of pitching. It's a toll he has long been willing to pay. "Honestly, I've had pain in that spot in my elbow since I got drafted, since before I got drafted," said Wheeler, a first-round draft pick of the Giants in 2009. "It just happened to really flare up and be a little bit more painful last year, but not enough to where I would actually say 'oh my gosh,' that type of thing." Playing through pain has long been a staple of the big league experience. Even with his elbow aching, Wheeler made every scheduled start last season, all while managing the symptoms from what he believed then to be tendonitis. But slowly, a clearer picture emerged of an elbow that endured years of damage. An MRI exam after the season showed calcification in his joint. Another MRI performed in January revealed a tendon tear. Wheeler said doctors reassured him that the tendon issue likely stemmed from usage over time. "It didn't happen last year, it didn't happen the year before, it happened when I was younger," said Wheeler, who bristled at the notion that he was somehow abused by the Mets. Wheeler threw the second most pitches -- 3,308 -- of any player last season who was 24 as of July 1. Within that age group, Wheeler logged the most outings of 110 pitches or more. Through it all, tests showed no damage to Wheeler's ligament. 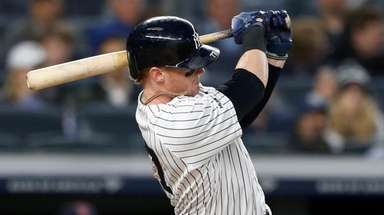 That changed only last week, when his most recent MRI exam was taken last Saturday and revealed a torn ulnar collateral ligament on Monday. He will likely miss the next 14 months after surgery with Dr. David Altchek on Wednesday. "I can't complain how the Mets handled me last year innings-wise," said Wheeler, who might not pitch again until next June. "I don't have any complaints at all about how they handled me. So, that's that." Wheeler echoed his agent B.B. Abbott and Mets general manager Sandy Alderson by downplaying his workload last season. 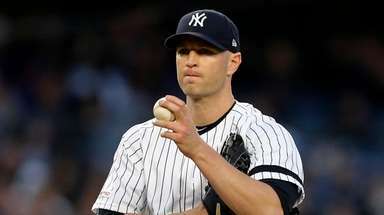 "Everybody thinks that they're doctors at this point in time and specialists," said Wheeler, who was acquired from the Giants in a 2011 trade for Carlos Beltran. Ultimately, Wheeler kept pitching through pain last season because he was assured it would not worsen his condition. So long as he could manage the pain -- and he wasn't hurting the team -- Wheeler wanted to play. "You really can't worry about it," Wheeler said. "You're up in the big leagues. You've got to go out there and pitch. Obviously, I checked in every once in awhile. 'Hey, check my arm, make sure it's good' with the doctors and they said it was good. So you've got to throw that out the head and go out there and pitch. If you're going out there 'oh man, I might pop my elbow this outing' or something like that, you're going to be hesitant and you might hurt your shoulder or something like that. So you've just got to go out there, let it go, and pitch." In 32 starts, he went 11-11 with a 3.54 ERA in a career-high 185 1/3 innings. His excelled in the second half, when he took a leap in his development as a starter. The pain varied in its severity but rarely went away. But Wheeler said it intensified following an Aug. 15 start against the Cubs. He threw a season-high 120 pitches, including an unusually high number of curveballs. "After that, it sort of progressively got worse," Wheeler said. Even as the Mets faded from playoff contention, Wheeler remained steadfast in his desire to keep pitching. "It's not about that at all," Wheeler said. "You want to go out and pitch every game whether you're done 50 games or up 50 games. You want to go out there and pitch and do the best that you can." Beginning with the Cubs start, Wheeler went 4-4 in eight starts with a 3.60 ERA. For the season, his fastball averaged 95 mph, fifth highest in baseball. When the tendon tear was discovered this winter, Wheeler said he ruled out surgery, which would have brought with it a recovery time of four to six months. "I didn't have a problem with that obviously or I wouldn't have pitched," Wheeler said. "I don't think it really resulted in the torn ligament either, to be honest with you. But I'm not a specialist so I don't know that." 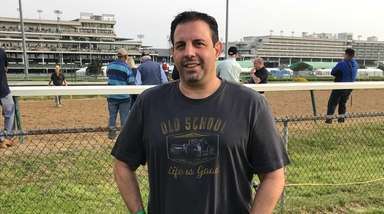 Instead, he underwent platelet rich plasma treatments, in hopes of helping the tendon to heal. When Wheeler arrived in spring training, he maintained a normal schedule. He planned once again to keep pitching through the pain. But he began having trouble bouncing back in between outings, a sure-fire sign of trouble. "I just couldn't recover," Wheeler said. "It finally just had its toll and it's like I'm done." Still, he was surprised by the torn ligament, just like the Mets. 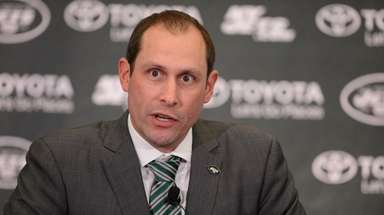 "When (chief operating officer) Jeff Wilpon came and got me, I sort of knew," Wheeler said "I was like 'oh man, it feels like I'm getting taken to the principal's office.' I sort of knew it wasn't good." This week, Wheeler consulted with both Altchek and renowned orthopedic surgeon Dr. James Andrews. Wheeler's agency also had tests reviewed by an independent orthopedic surgeon. Surgery will repair both Wheeler's torn ligament and torn tendon. He expects that it will also address the calcification in his elbow joint. He doesn't expect the tendon injury to complicate his rehab from ligament replacement -- a point he made sure to raise with doctors. "They're going to go in and basically clean up everything," Wheeler said. "So, I'm going to have a new elbow when I come out. They're going to fix the ligament, fix the tendon, clean out that calcium deposit, clean up all the scarring or dead stuff, whatever you want to call it inside. Basically just have a new elbow when I come out." In recent days, Marlins pitcher Jose Fernandez reached out to Wheeler, willing to offer advice about coming back from surgery. Rookie of the year Jacob deGrom has always provided counsel after having undergone the procedure early in his career. Still, even though he's confident that the Mets can withstand his loss, Wheeler expressed disappointment in missing a season that had been rife with expectations. The pitcher tried to put a positive spin on surgery. "It's surgery," he said. "So obviously it's a big deal. You don't want to have it but it's probably better that you have it when you're younger so you don't have to worry about when you get a little bit older when it's harder to heal. It's unfortunate, but at the same time it's better to happen now." Of course, he has had time to prepare. From his days in East Paulding High School in Dallas, Ga., he has long been resigned to its inevitability. Said Wheeler: "Every guy who throws hard is eventually going to have it -- more than likely."